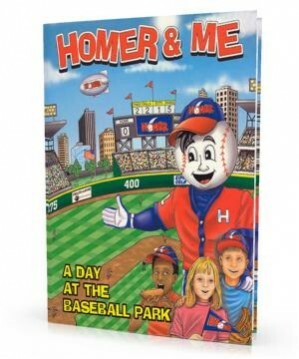 The star of the story spends a day at a big league baseball park with Homer, the mascot for the Home Run Against Drugs school program, as he mentors him or her about making wise decisions (don’t smoke, drink alcoholic beverages or take drugs) and healthy choices in life (eat right, exercise, stay in school). Your child will value the Strike Force lessons and tips from professional baseball players on every page. This educational, personalized book is also a great fundraising tool!